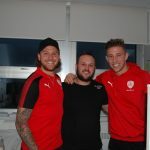 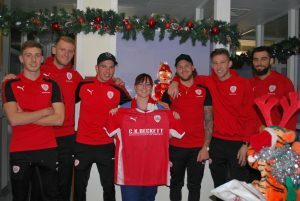 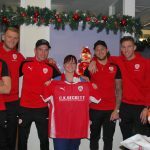 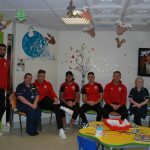 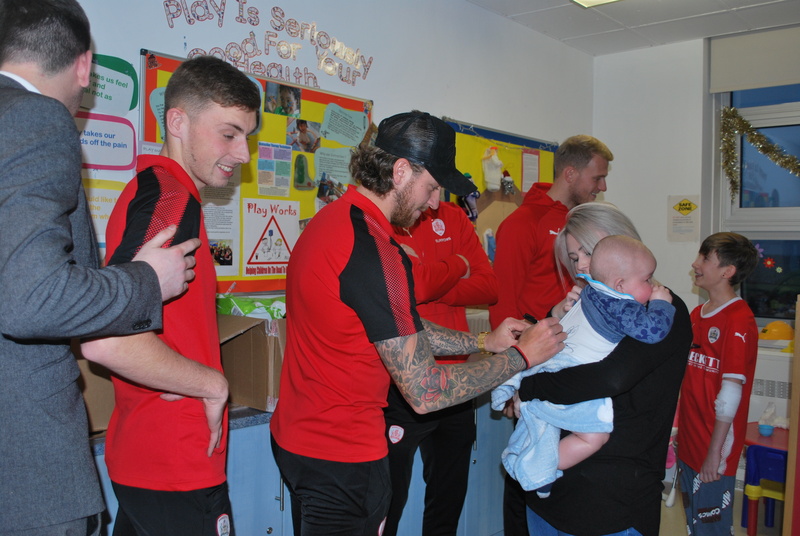 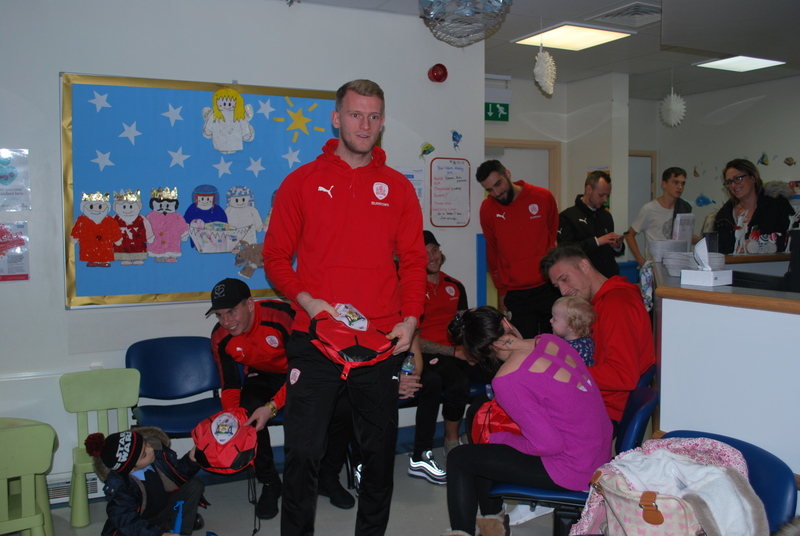 Barnsley Hospital were visited by players and staff from Sky Bet Championship side Barnsley FC who handed out presents to poorly youngsters as part of a festive visit on Thursday 14 December. 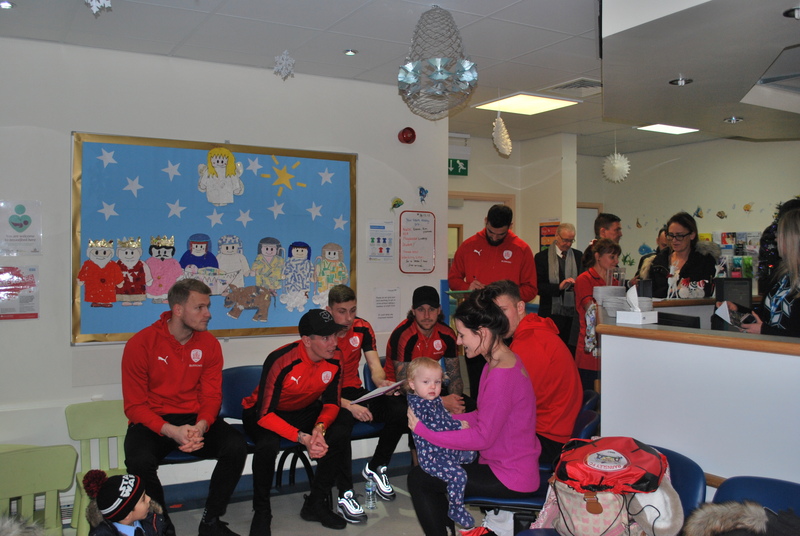 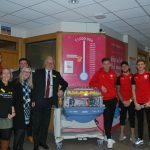 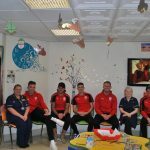 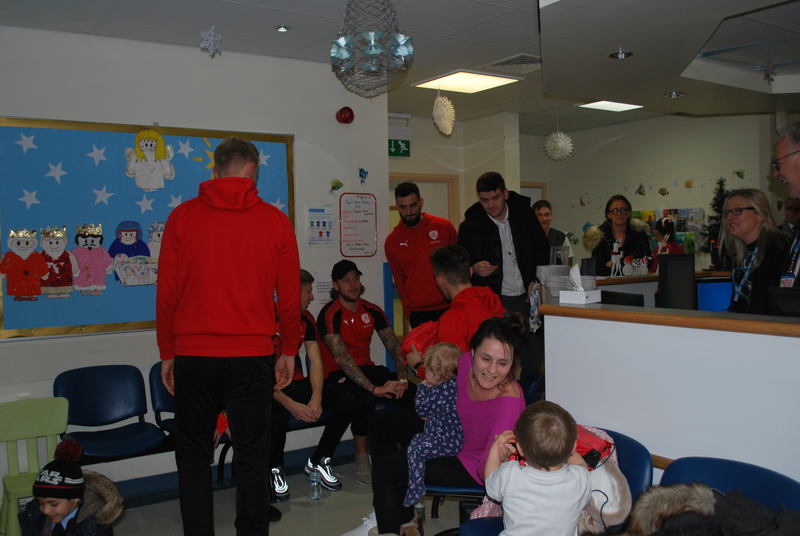 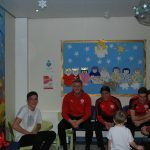 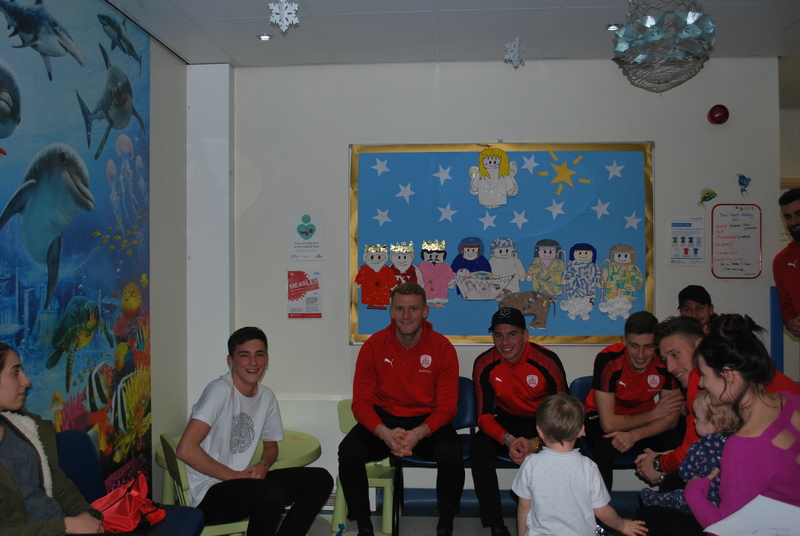 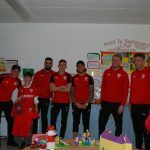 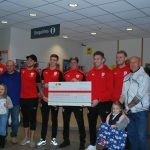 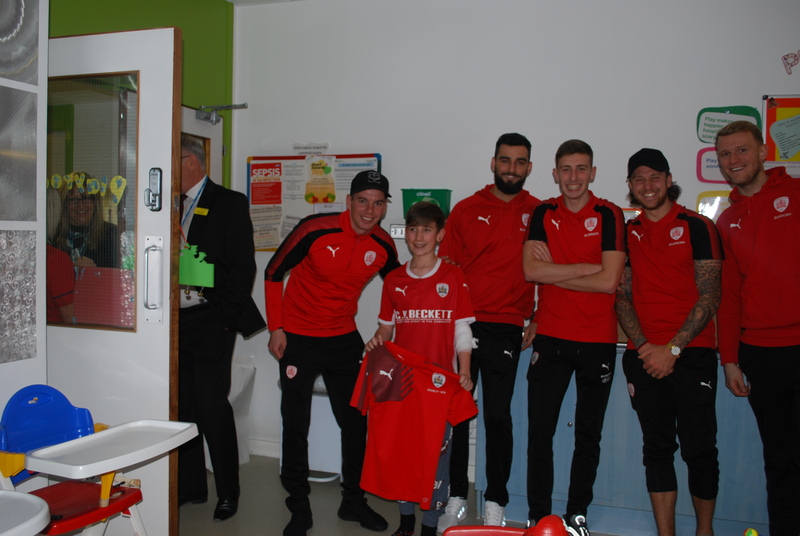 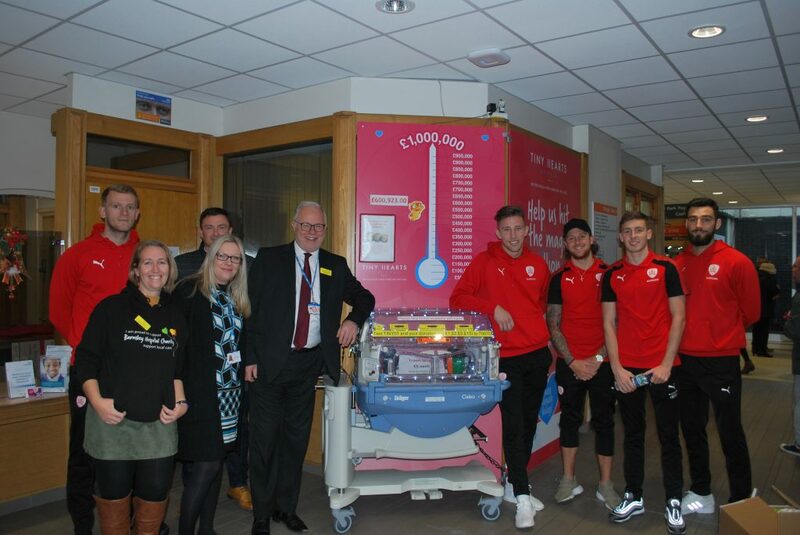 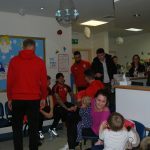 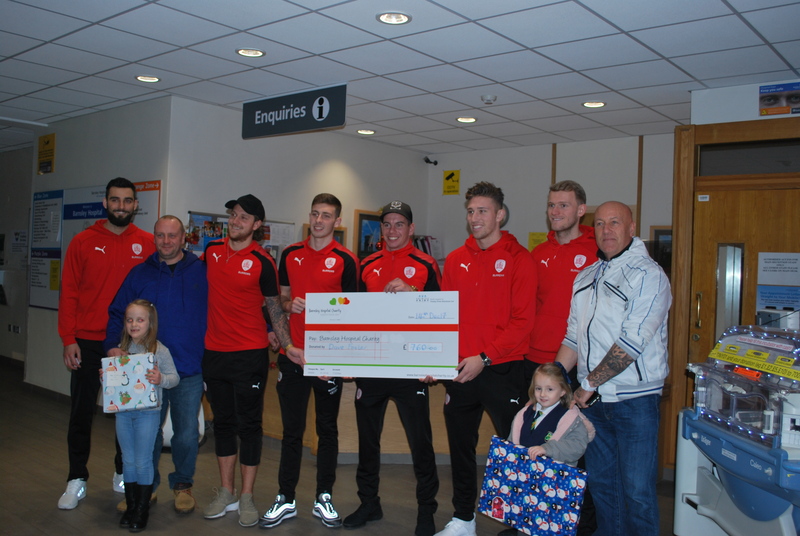 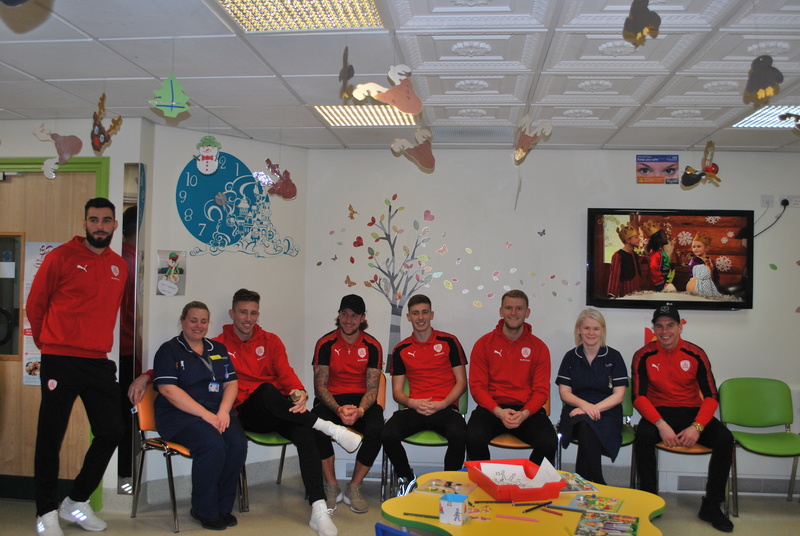 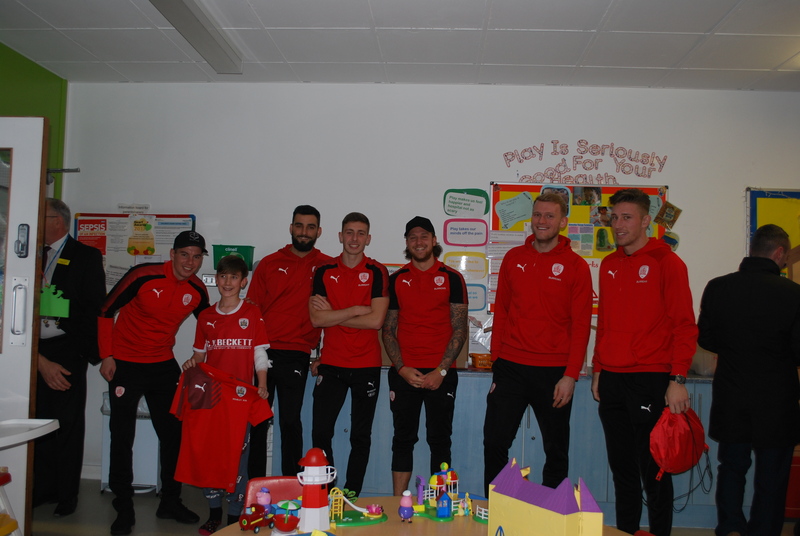 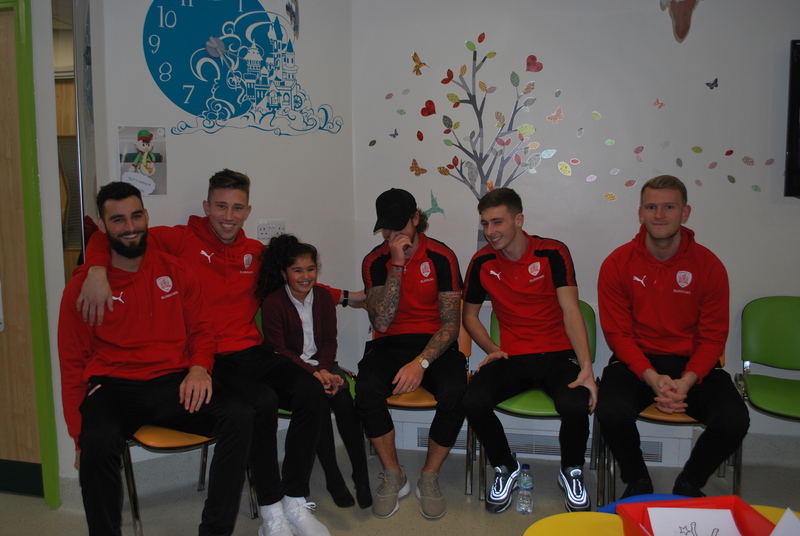 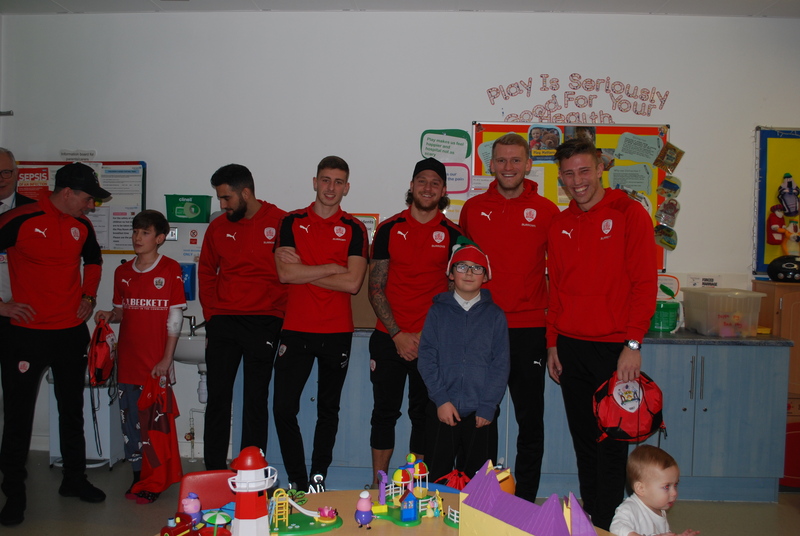 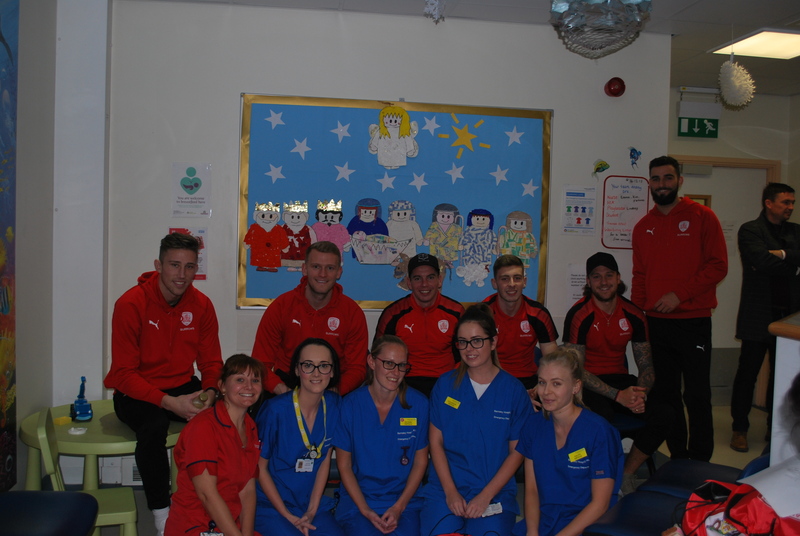 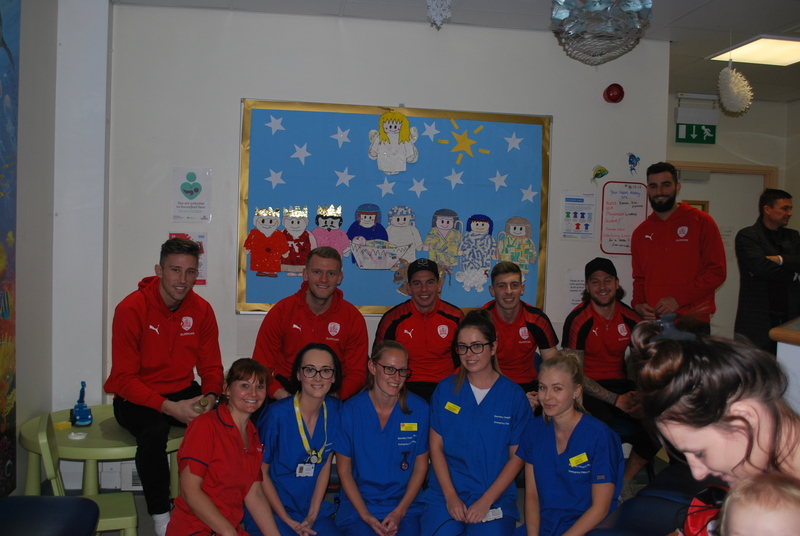 Manager Paul Heckingbottom and players Angus MacDonald, Adam Hammill, Adam Davies, Joe Williams, Adam Jackson and George Moncur visited and distributed donated toys and gifts to the children on the children’s ward and in A&E. 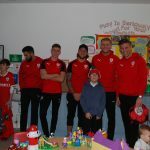 Reds boss Heckingbottom, born in Royston, said: “It’s truly a privilege to be here today as this is one of the visits that we feel passionate about and look forward to making each year. 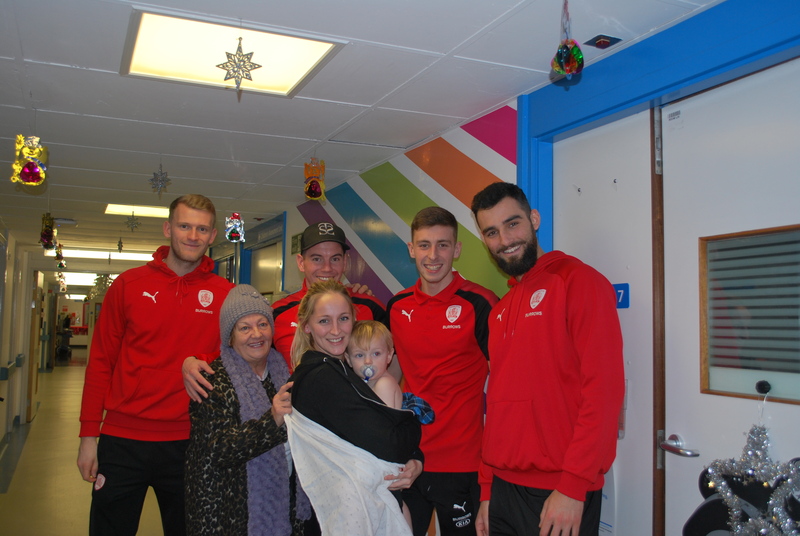 “It puts a lot of things into perspective when you visit and shows just how fortunate we are to be able to enjoy this Christmas with our families. 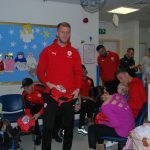 Some of the children here will be in hospital over the Christmas period, which is a huge strain for them and their parents, but hopefully by popping in with these gifts we’ve been able to put a smile on their faces this afternoon. 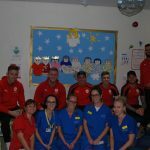 “I’d also like to thank the Hospital staff who work tirelessly throughout the year to provide incredible care to patients. 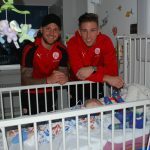 “As a Club we’re really proud of the connection that we have with our community, and its days like today that hopefully show that we are more than just a Football Club. 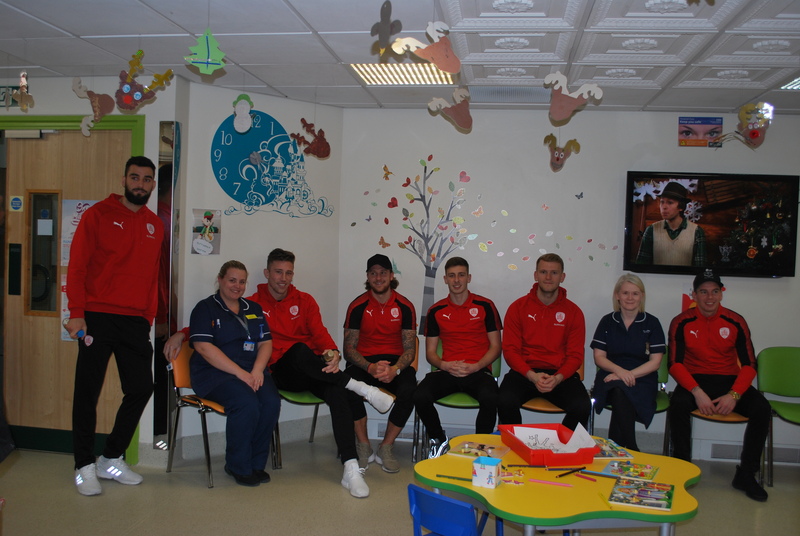 During the visit the players also met with the Barnsley Hospital Charity team who gave an update on the Tiny Hearts Appeal. 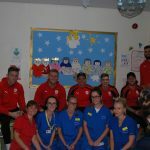 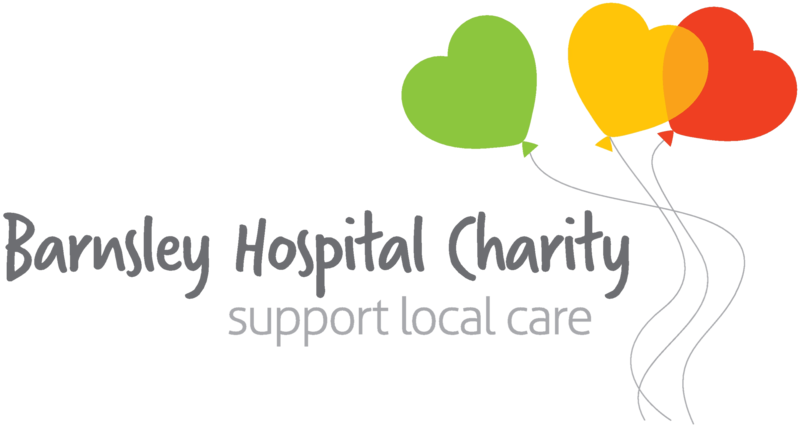 The campaign aims to raise £1 million to help support the relocation and development of a brand new Special Care Baby Unit at the hospital. 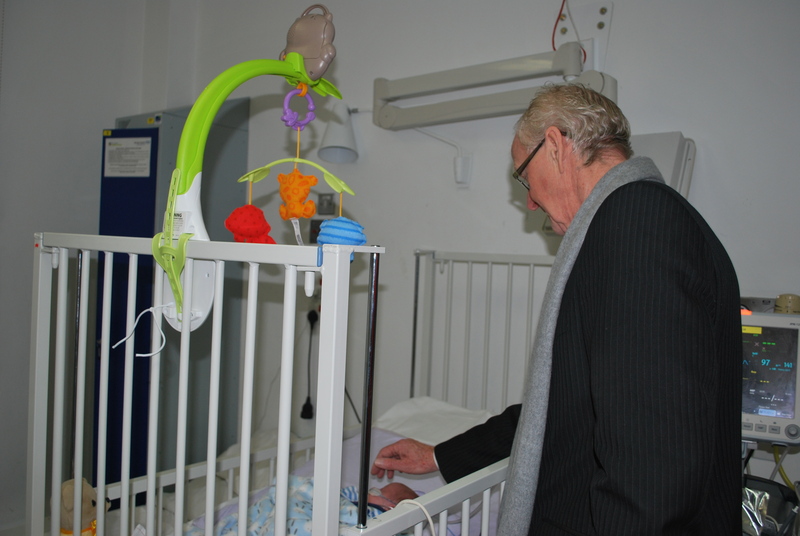 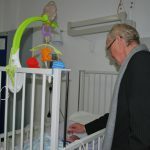 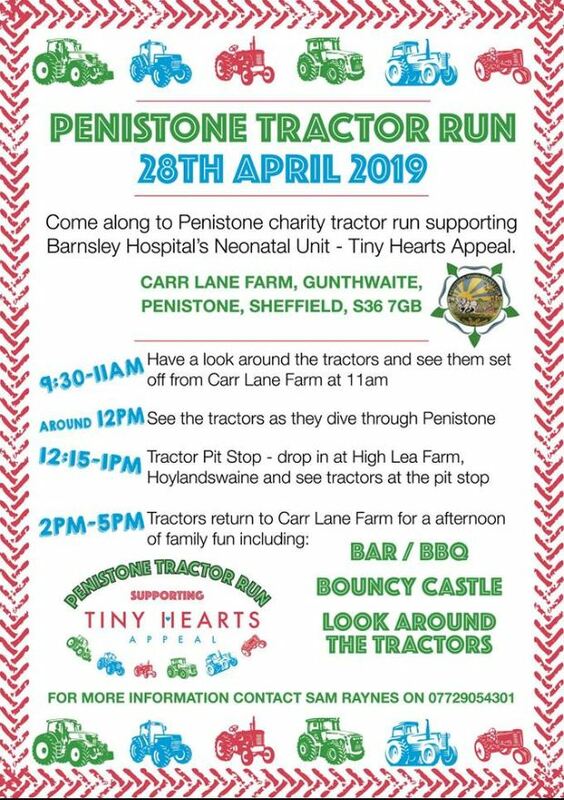 All money raised for the Tiny Hearts Appeal will be used to ensure the unit supports the needs of the most vulnerable babies and their families. 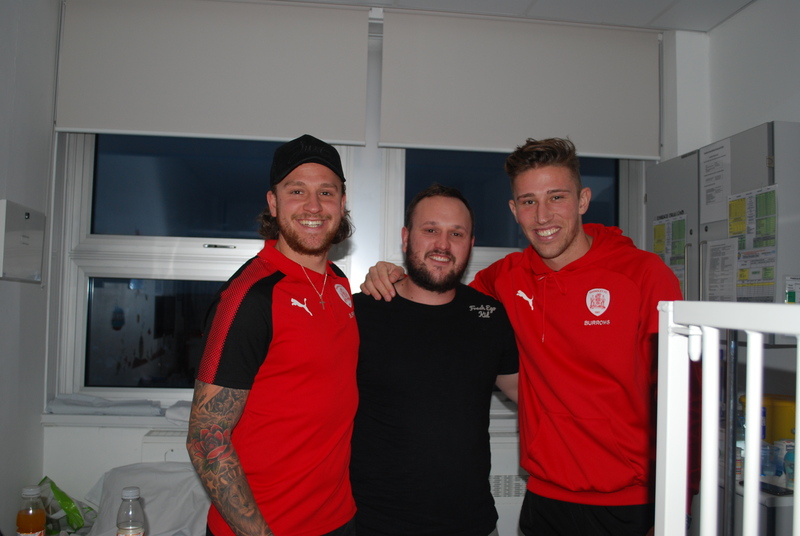 The new unit will create a warm and welcoming environment which is incredibly important at what is often a very stressful and traumatic time for families.